We currently have over 440,000 Facebook fans worldwide. 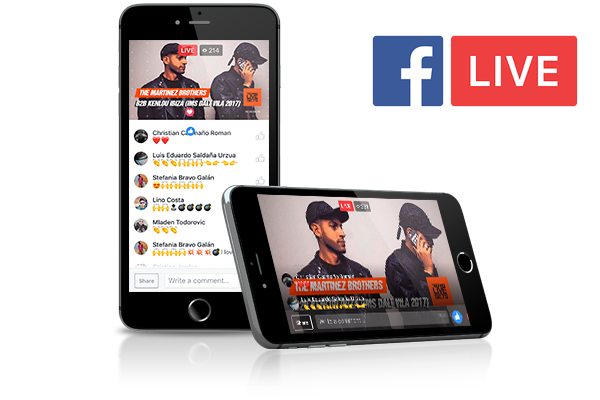 Thanks to our method promotion, we will create a live publication of your set from our Facebook account so that you get the maximum possible reach. 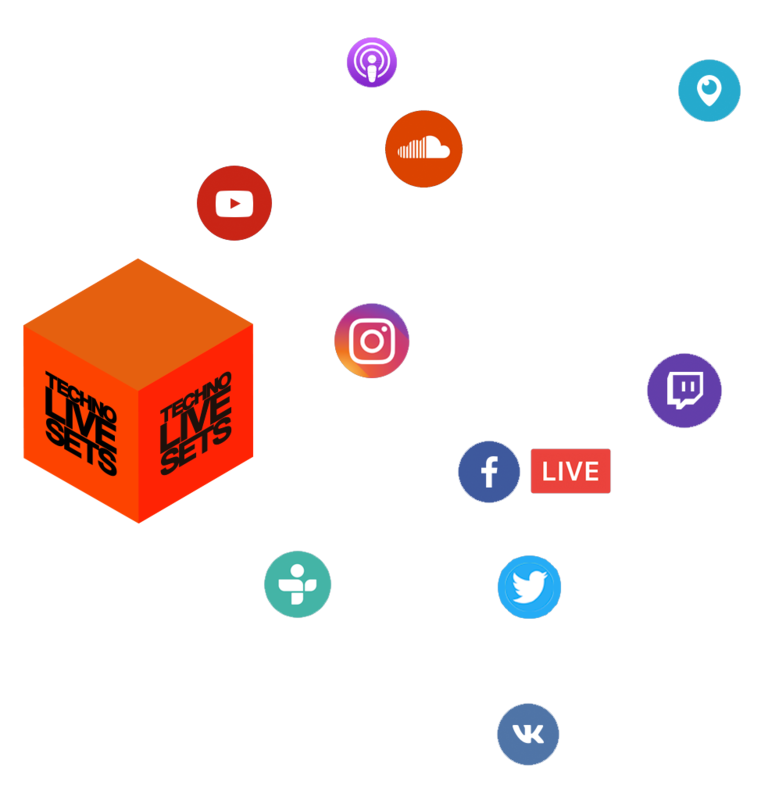 ALSO… GET MORE PLAYS IN JUST 1 DAY! 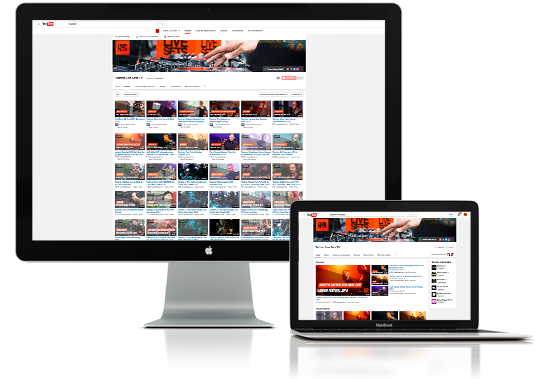 Do you want more plays on SoundCloud? We have the largest number of active users. 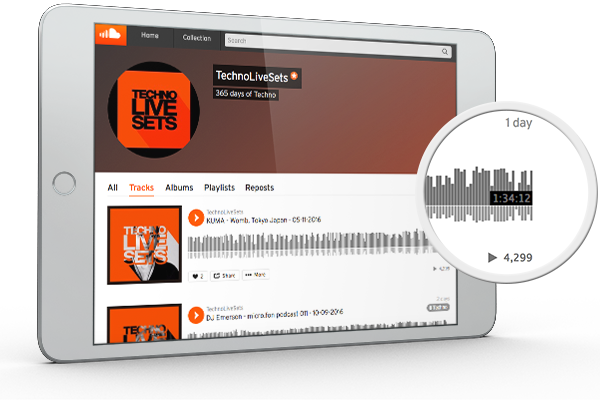 Thousands of people around the world listen to the sets we share on SoundCloud daily. Thanks to our promotion system you can get thousands of plays in just 1 day. 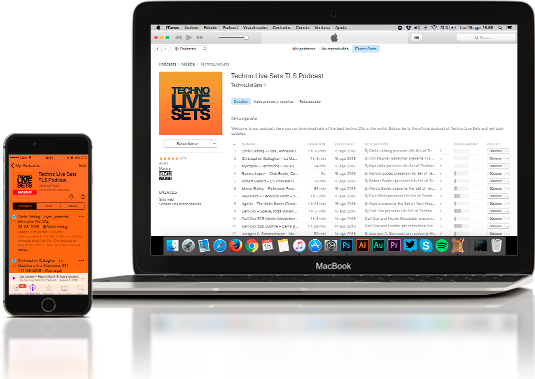 We publish your set in our iTunes podcast to be heard by thousands of users worldwide who use iOS devices..
WHY ARE WE THE BEST TECHNO MUSIC PLATFORM? We have the largest number of active users. 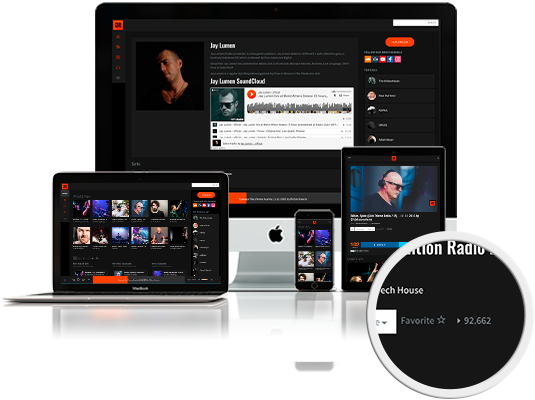 Thousands of people around the world are eager to consume the best mixes and tracks of Techno, House, Tech-House, Deep-House, and much more!